Our experienced sales team have one of the largest and diverse range of industrial electrical components and supplies in the Territory. For the past 30 years operators in the mining and resource sectors as well as local and national contractors have relied on ISAS to provide their key supplies. The ISAS sales team know how to manage the logistical challenges involved in getting critical components delivered on time in remote areas. 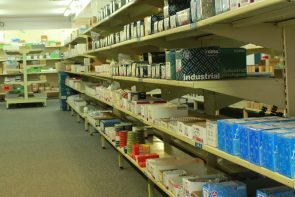 We hold a substantial inventory of stock so that many items are immediately available. Our customers benefit from our comprehensive product range, knowledgeable, consistent and responsive service, and our focus on the delivery of effective and timely solutions. Supplying parts in the Northern Territory for over 30 years, ISAS can supply you with the highest quality leading brands of industrial electrical gear.